Scotland’s Auditor General Caroline Gardner has produced her annual report on Scotland’s colleges which shows the sector reported a £300,000 surplus in its underlying financial position for 2016-17 compared to the previous year’s £8 million deficit. But the report shows “wide variations between institutions” with several colleges facing significant financial challenges. 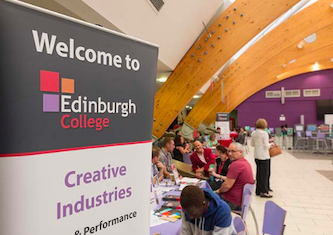 The Auditor General reported on the financial challenges facing New College Lanarkshire and Edinburgh College in April 2018. Her report notes these problems as well as “difficulties” at Ayrshire College, Lews Castle College, Moray College and North Highland College. The report also shows the attainment gap between students from well-off and poorer areas is widening. “Varying degrees of success have also been achieved by the sector’s three regional strategic bodies (RSBs), which were set up to make the sector more efficient,” says the report. “In the Highlands and Islands, colleges are working in an increasingly joined up way. “Longer-term leadership stability is required to increase the effectiveness of Glasgow’s regional board. Gardner said: “The performance of Scotland’s colleges has improved, although like all public bodies they continue to operate in a very challenging financial environment. “Several factors pose a risk to colleges’ financial sustainability, including the prospect of a bigger wage bill for support staff and the cost of maintaining buildings. The Scottish government has indicated total funding to the college sector of £645 million in 2018- 19, a real terms increase of 10.4% on 2016-17. Most of this is to meet increased costs associated with national bargaining. Excluding funding for Forth Valley College’s new campus in Falkirk, the Scottish government’s capital allocation for colleges in 2018-19 is £27 million. The three Regional Strategic Bodies (RSBs) for Scottish colleges are: The University of Highlands and Islands (UHI) Court; Glasgow Colleges Regional Board (GCRB); and Lanarkshire, which has seen South Lanarkshire College assigned to New College Lanarkshire.